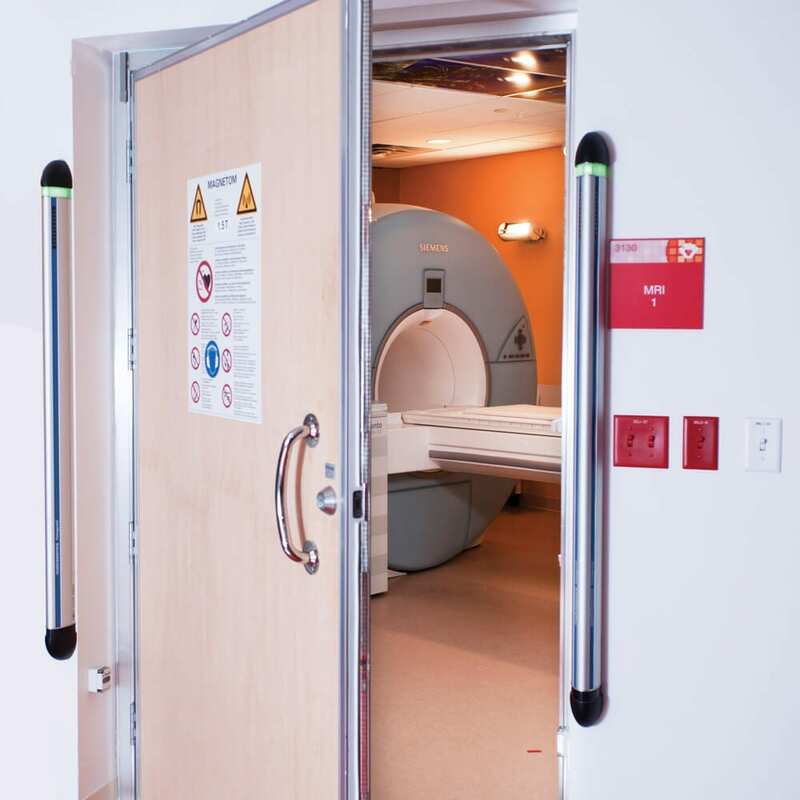 Ferromagnetic objects taken through the MRI door in to Zone IV can lead to serious injury, time consuming delays, and costly damage to your valuable imaging system. When ferrous objects reach the MRI magnet’s fringe field, they can be strongly attracted, at high speed, towards the bore of the magnet. This frightening and dangerous phenomenon is known as the projectile effect. Although MRI safety procedures are in place in all MRI facilities, intended to prevent such incidents, the number of MRI projectile events continues to rise year-on-year. 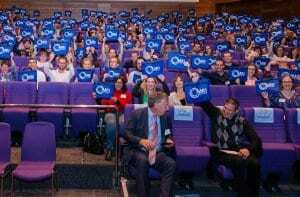 Distinguishing between MRI safe and unsafe items is always a challenge for staff. For example, a pair of safe non-ferrous scissors may be visibly identical to a pair of ferrous scissors that could become a dangerous projectile if taken close to the magnet. Additionally, the information gained in traditional screening processes may be inaccurate, as patients are not always reliable in reporting all ferrous items on their person or conveying their complete medical history. 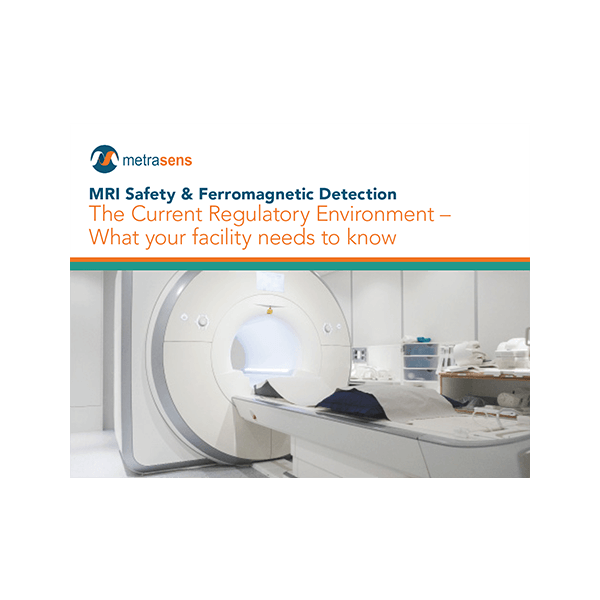 Metrasens’ Ferroguard ferromagnetic detection systems (FMDS) for MRI safety clearly identify ferromagnetic hazards and provide valuable objective data to help MRI staff make accurate safety-decisions to significantly enhance the overall effectiveness of your MRI safety processes.  And now, Metrasens’ Safety Suite* provides automated data capture, MRI-safety-metrics and reporting, for one magnet or many, from everywhere you go. 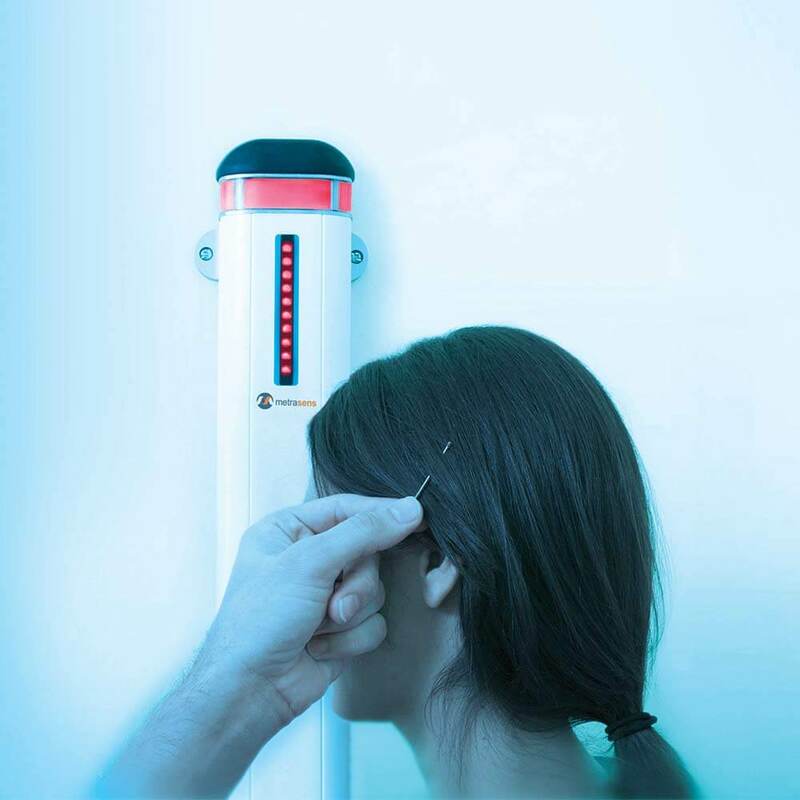 World-leading sensors; simple, clear alerts; and planning and installation particular to your MRI facility; all ensure that your Ferroguard products will provide you with superior, uncompromised MRI safety protection. Ferroguard Screener will detect the smaller risk items that other systems just miss; and with any of the Ferroguard entry control systems, you can be confident of receiving clear, simple to understand, alerts, in advance of the risk item entering Zone IV. Selecting Ferroguard FMDS systems will enable you to meet ACR guidance to screen patients “approaching Zone IV”. Locating an FMDS within the doorframe inside Zone IV is simply too late to meet recommendations and too late to prevent risks becoming incidents. And be assured that all Ferroguard MRI safety systems are true FMDS, not traditional metal detectors that the ACR recommends against. For MRI facilities in the USA, Ferroguard Assure with MRI-Safety-Manager is the only FMDS enabling you to simply categorize “unintentional” entry of ferromagnetic items into Zone IV, as required by Joint Commission accreditation standards. Our award-winning products are the only FMDS designed and manufactured under ISO9001 international quality standards, just like every other item of medical equipment in your facility. Ferroguard systems are robust enough to cope with your busy environment and styled to fit in with the best facility design. We are proud to partner with the leaders in MRI including: Philips Invivo, GE Healthcare, Philips Healthcare, and Siemens Healthineers. Ferroguard MRI safety solutions are available globally through Metrasens’ expert local distributors. Super-sensitive, fast and efficient MRI Zone II screening. Prevents incidents and artifacts from those small, hidden risk items. Trustworthy, clear detection of ferromagnetic hazards, before reaching MRI Zone IV. 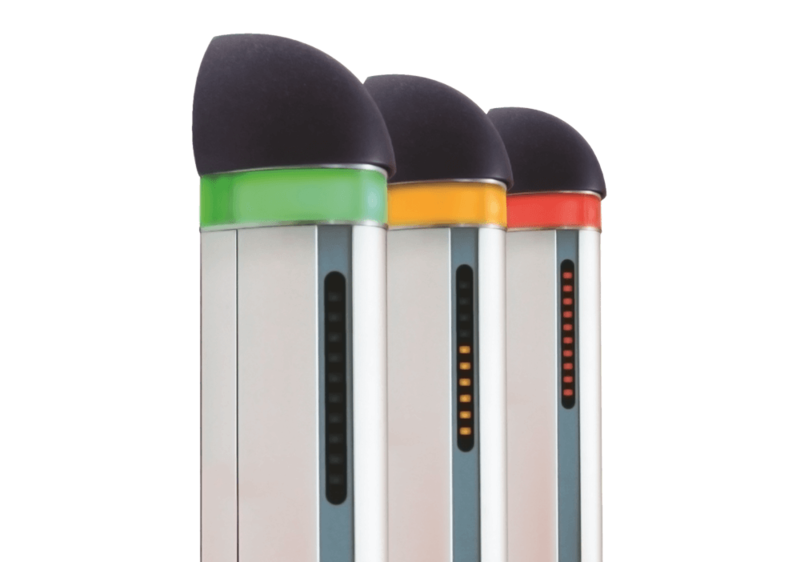 Eliminates catastrophic accidents caused by medium to large ferromagnetic items. Who recommends ferromagnetic detection systems for MRI safety? 1. 2014 FGI guidelines for design and construction of hospitals and outpatient facilities. Published by the American Society for Healthcare Engineering of the American Hospital Association. * Metrasens' Safety Suite not available in all markets.